The most satisfying part of any Easter feast is the abundant leftovers that follow. We love having mushrooms as a side dish on our Easter dinner table. Have leftovers? 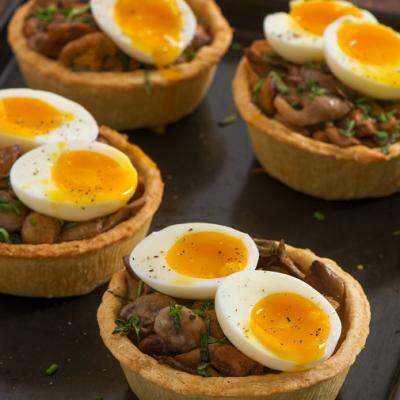 These flaky and delicious Soft-Boiled Egg Tartlets with Mushroom are the perfect quickly assembled snack that will last you a few days after Easter! Looking for a healthier option? 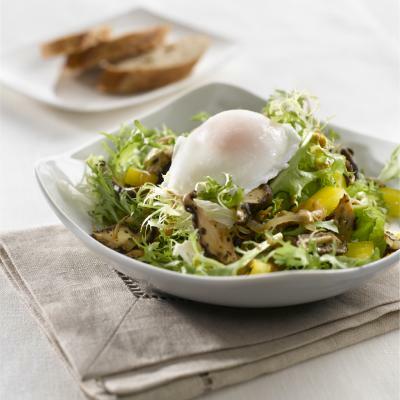 Try using the mushrooms in a Poached Egg and Mushroom Salad. Why wait until lunch or dinner to start eating your veggies? Adding in leafy greens at breakfast gives a tasty boost of fiber and nutrients to your first meal of the day. 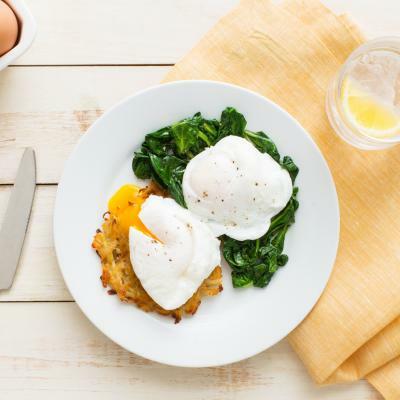 Seamlessly take your leftover spinach from dinner to a quick breakfast by adding them to a Potato Rosti with Poached Eggs. Flavoured with garlic and paprika, it’s the best way to get your greens in. In a rush and have no time? 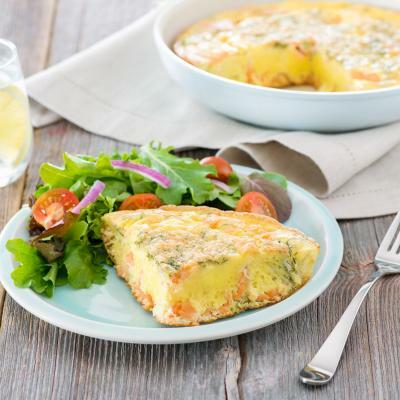 Try our Morning Mug Spinach and Cheddar Frittata instead! Perfect for rushed mornings. 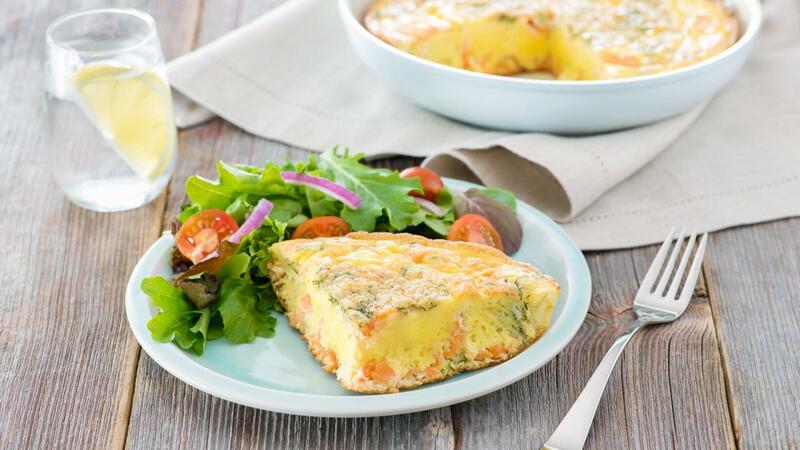 Yesterday’s smoked salmon and bagels is today’s Smoked Salmon Frittata. 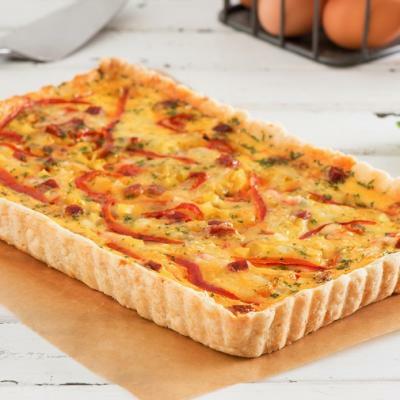 Bake and freeze it to ensure that it stays fresh and delicious even days after the Easter festivities are over! 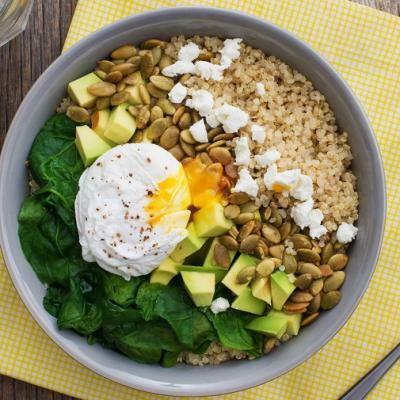 Transform last night’s star side dish info a savoury Breakfast Power Bowl filled with nutritious goodies like avocado, eggs, spinach and goat cheese. Did you know that quinoa and eggs are both a great source of high-quality protein, containing all 9 essential amino acids? This powerful protein combination makes for a satiating breakfast that will help keep feeling full for longer. PRO TIP: always keep extra quinoa in the fridge so that making a power bowl before work is a breeze! Ome-let us show you how to re-use your leftover Easter ham. 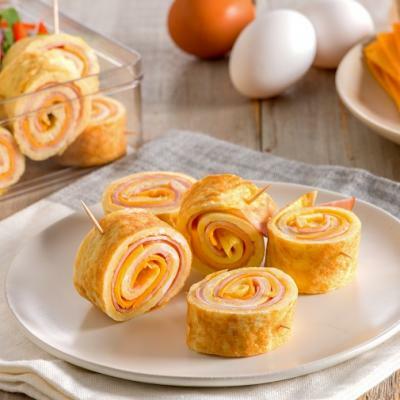 Say hello to Ham and Cheese Omelette Roll-Ups. 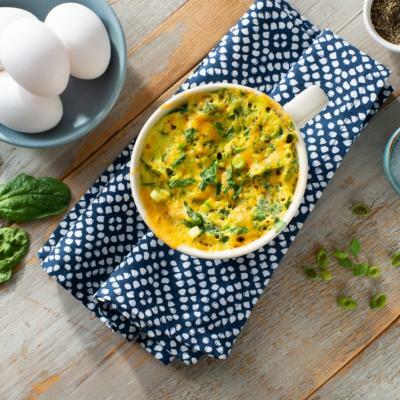 Ready in less than 15 minutes, these protein-packed bites are easy to prepare and are the best energy-boosting breakfast any day of the week. Did you serve a beautiful charcuterie board at your Easter festivities and buy too much prosciutto? Trick question – there’s no such thing as too much prosciutto! Use all of the leftovers to make an unforgettable workday lunch with this Italian French Toast. Lunch is served. Simply wrap up leftover turkey and sweet potatoes in a whole wheat tortilla and you’ve got a nutritious and delicious lunch!